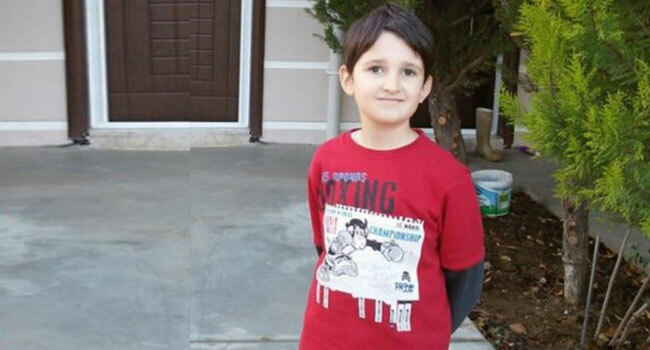 Furkan Dizdar died two years ago at the young age of 12. He was one of the youngest victims of the State of Emergency (OHAL) that was announced on July 20, 2016. Furkan, who suffered from a severe form of cancer and who was prevented from seeking medical help in Cuba, eventually became paralysed, lost his eye and died an agonising death. Furkan had been diagnosed with brain cancer and was told by a doctor in Turkey that he had only 30 days to live. The type of cancer that he had could not be treated in Turkey. However, his family was determined to find a doctor who would be able to save their son. After some research, they found a hospital in Cuba that treated the cancer that Furkan had. They arranged for Furkan’s admission to the hospital and made plans to leave Turkey and head for Cuba where their child could be helped. However, the family’s passports were confiscated at the airport and they never made it to Cuba, despite the parents’ pleas to airport officials to at least allow Furkan to leave the country. The family then went to the governor and the prosecutor, but their efforts proved fruitless. Their passports were not returned to them as officials believed that they were members of the Gulen movement, which the government accused of orchestrating the coup attempt in 2016. Because 12-year-old Furkan was refused the necessary treatment, the disease progressed, causing paralysis to his face and spreading to his eye. Furkan died in agony on February 7, 2017. After a social media uproar regarding Furkan, pro-government newspapers ridiculed the passing of Furkan, blaming his family.